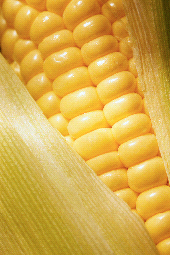 A slender stalk of sweet corn has been Hoopeston’s backbone for more than a century, from the canning industries which spurred the city’s growth, to its school mascot, the internationally-known Cornjerker, to its annual Sweetcorn Festival, sponsored by the Hoopeston Jaycees. A farming community at heart, Hoopeston has more to offer than just its agricultural roots. We have an excellent school system, Carnegie library, health care campus including a hospital, medical center, nursing home and independent living center, recreational facilities, the historic Floral Hill Cemetery and more. Our citizens take pride in their community and have a ready smile and friendly greeting for all. Whether you’re looking for a safe place to raise a family, a community in which to locate your business, or a quiet location to spend your golden years, Hoopeston has something to offer.